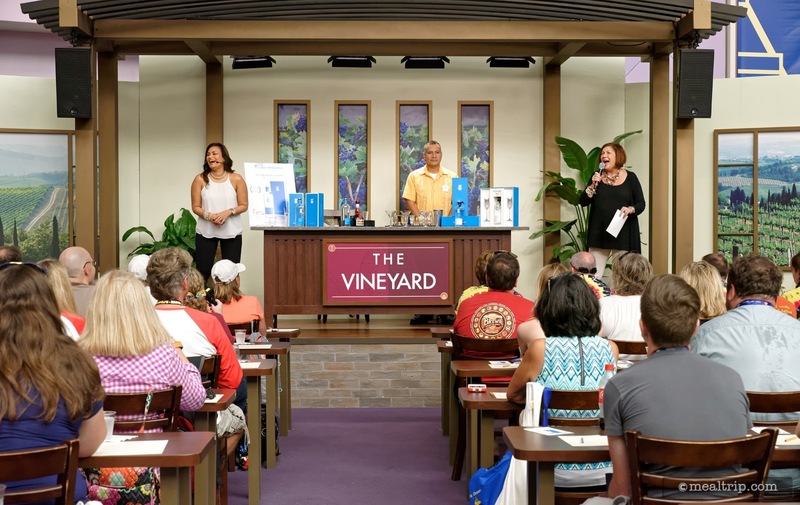 The Beverage and Mixology Seminars listing is a Special Event dining location at Epcot Food & Wine Event Reviews featuring Wine, Beer, Spirits or Beverage-based cuisine. There are 30 photos in the Mealtrip photo gallery for this location and dining period. 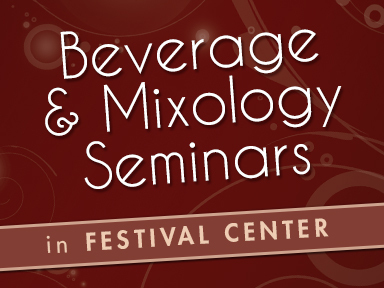 The Beverage and Mixology Seminars listing currently has a score of 78 out of 100. 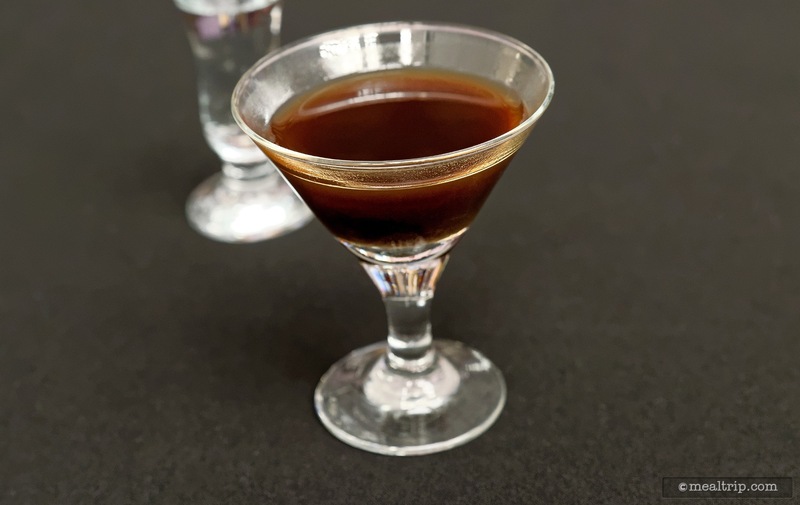 Click here to read all of the reviews for this location, or log in to Mealtrip.com to add your own review for Beverage and Mixology Seminars. 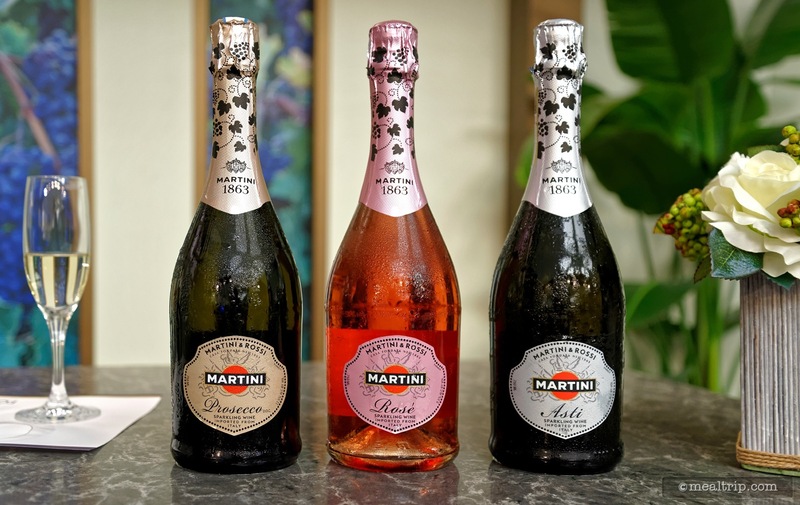 The three Martini samples at a 2015 Beverage Demo were the Prosecco, Rose, and Asti. Getting set up for the Martini and Rossi Beverage Demo (no, you don't get all of these glasses... three samples will be placed at each table setting). 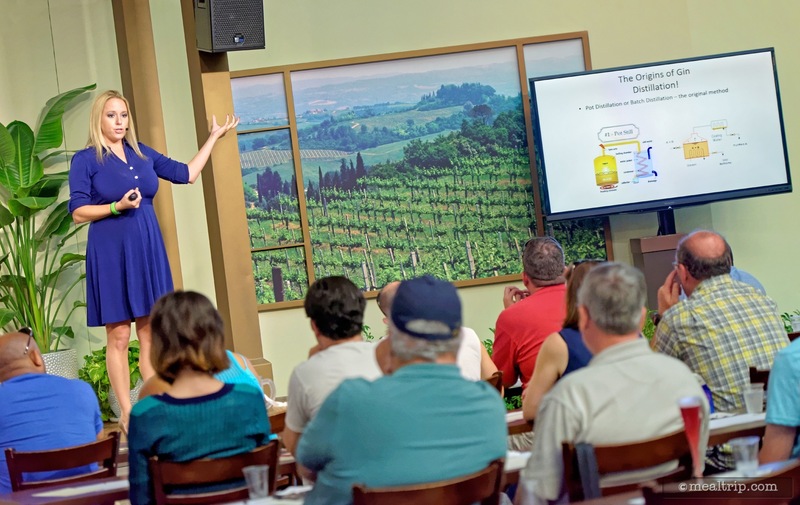 At a Beverage Seminar, you'll get to hear a bit more about each of the beverages you will be sampling that day, and the process and history behind that beverage. 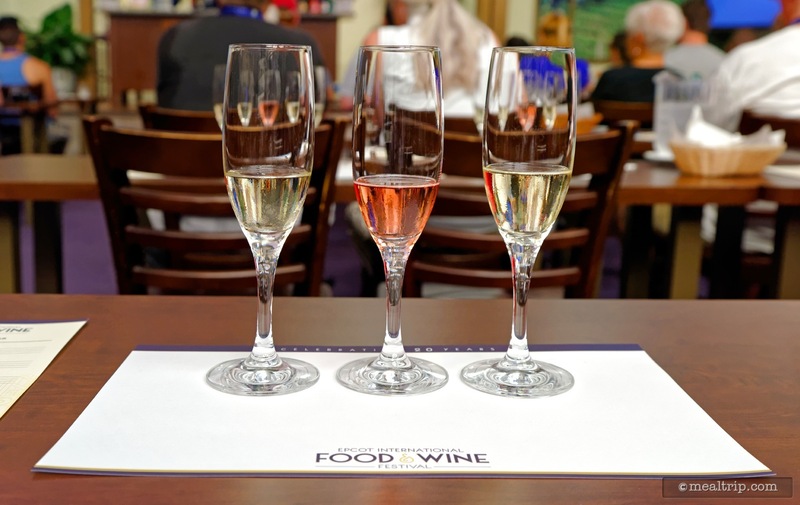 Here's a photo of the three Martini and Rossi samples from a 2015 Beverage Seminar during the Epcot Food and Wine Festival. Martini brought their Prosecco, Rose, and Asti. 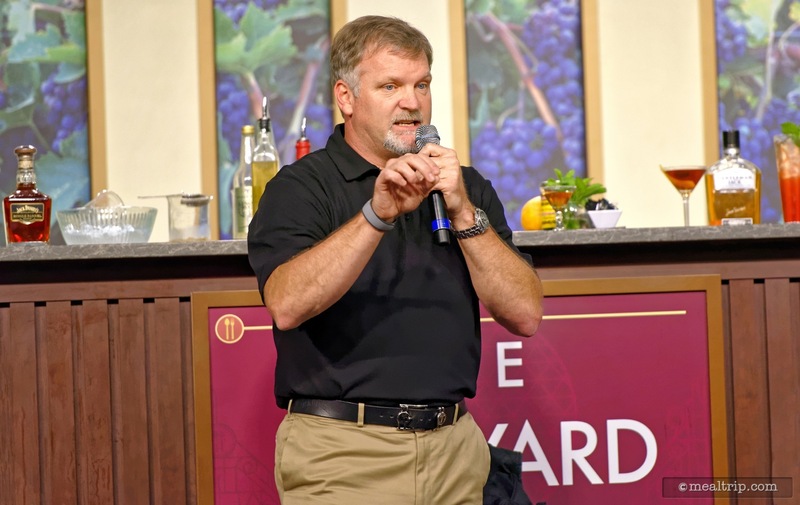 There is usually time for a few questions at the end of each Beverage Demo, so if there's anything you've ever wanted to know about your favorite wine, spirit, or beer... here's your chance! Jeff Arnett is only the seventh "master distiller" in Jack Daniels history. 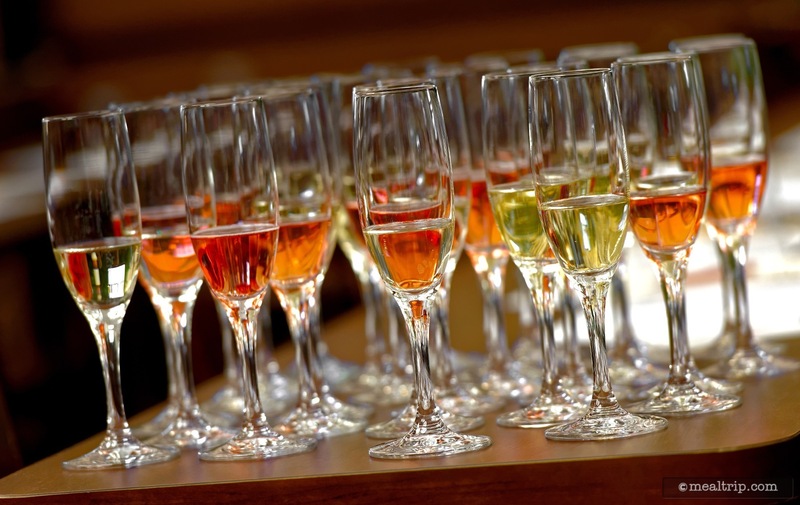 Each guest at the Jack Daniels Mixology Seminar sampled three beverages. The "Jack's Horse and Carriage" (Whiskey Mule), is pictured here. 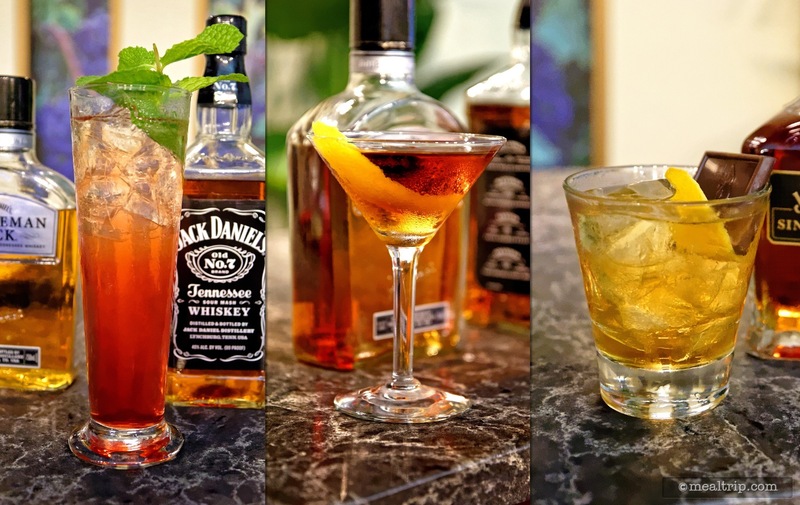 Each guest at the Jack Daniels Mixology Seminar sampled three beverages. 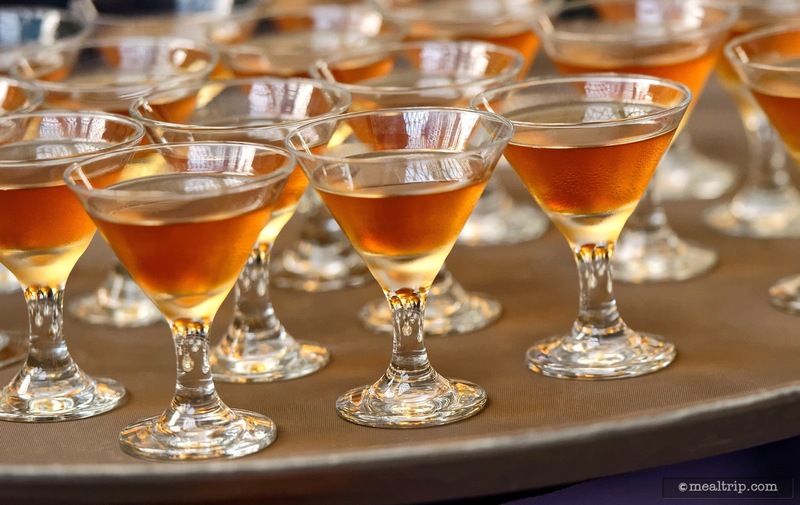 The "Gentleman's Manhattan" is pictured here. 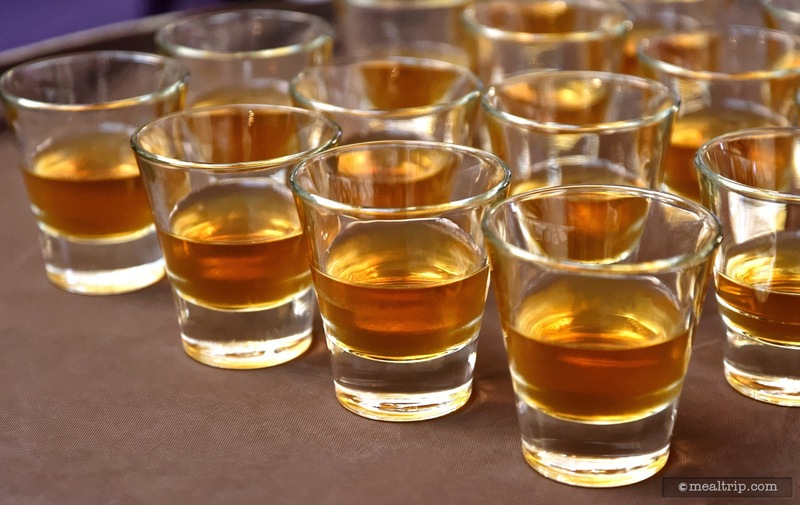 Each guest at the Jack Daniels Mixology Seminar sampled three beverages. The "Old is New Again" (Olde-Fashioned), is pictured here. The recipe also included a square piece of dark chocolate that you could add yourself (or eat separately). 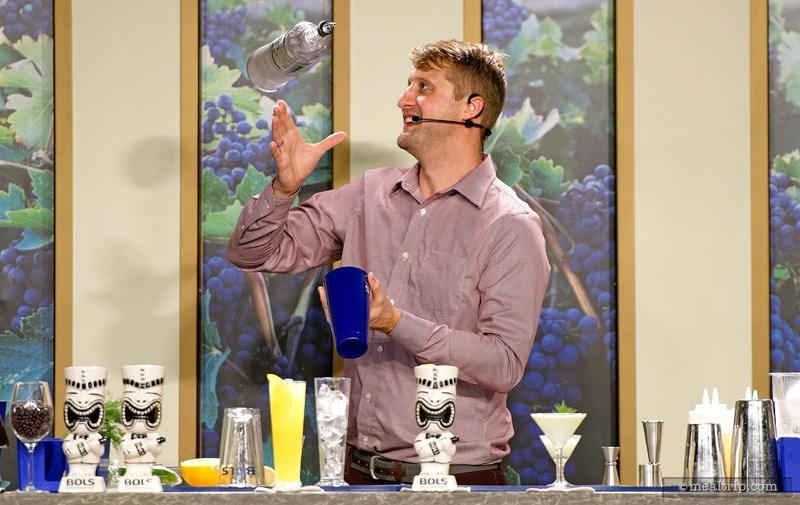 At most Mixology Seminars there are what I like to call "hero beverages" that are mixed as part of the demonstration. These are not "sample size" and sadly, not for you to drink... but they do make for great photos after the demonstration is over. 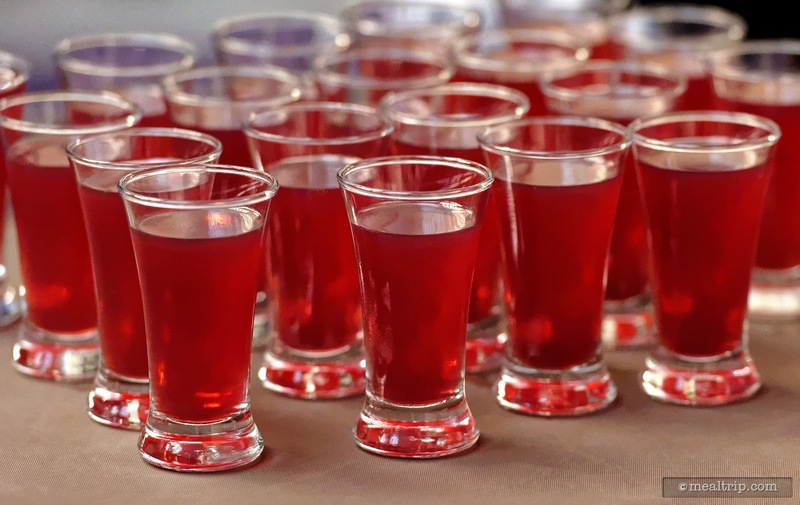 These are the sample-sized cocktails that each guest received at a 2015 Jack Daniels Mixology Seminar. Pictured from left to right... "Old is New Again (Olde-Fashioned), Jack's Horse and Carriage (Whiskey Mule), and the Gentleman's Manhattan. 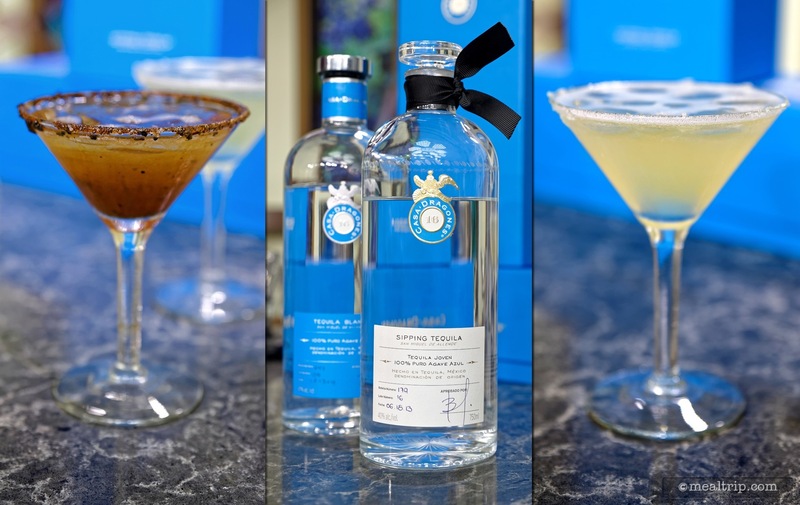 Here is a photo of the three "hero" beverages that were made by a professional mixologist as part of a 2015 Jack Daniels Mixology Seminar. (Your samples, will be 3-4 ounces in size). Pictured here are the "Jack's Horse and Carriage (Whiskey Mule)", the "Gentleman's Manhattan", and the "Old is New Again (Olde-Fashioned)". 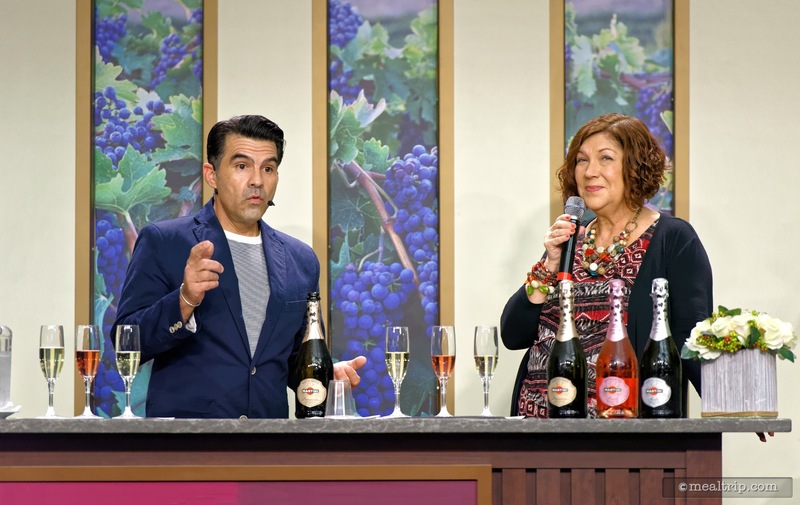 Sometimes, the presenters from the Beverage or Mixology Seminar will make themselves available for book and/or bottle signing after the demo. 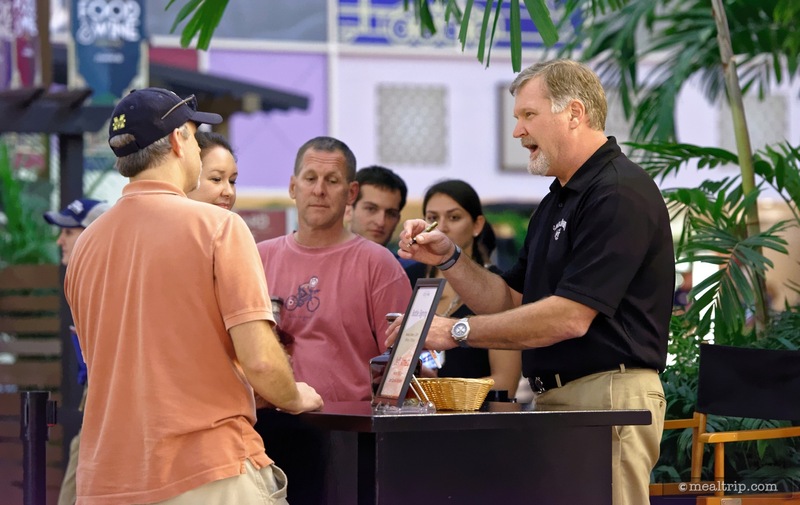 Pictured here, Jeff Arnett from Jack Daniels takes time to speak with guests. 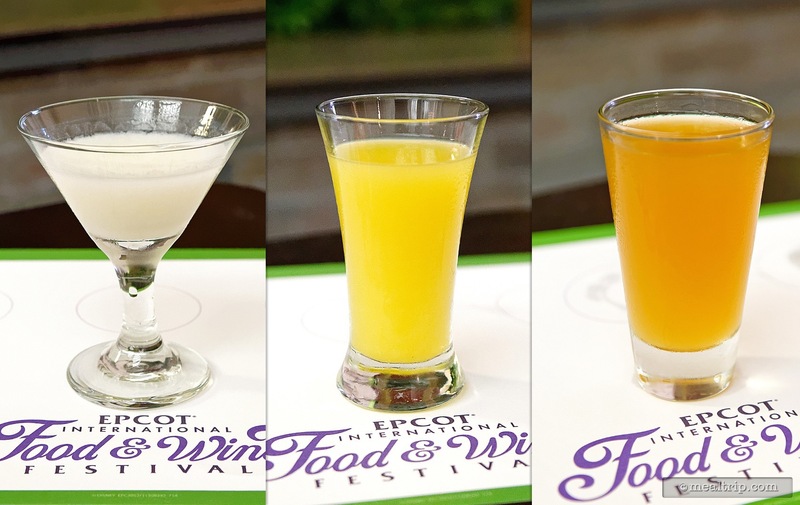 The Beverage and Mixology Seminars take place in the same location at Epcot's "Festival Center". 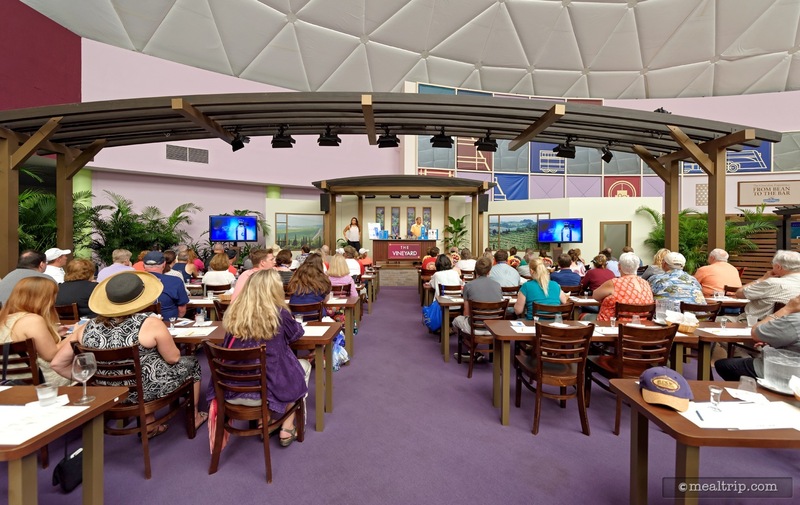 Seating is more "seminar style" where the tables and chairs are arranged so that everyone is facing forward. 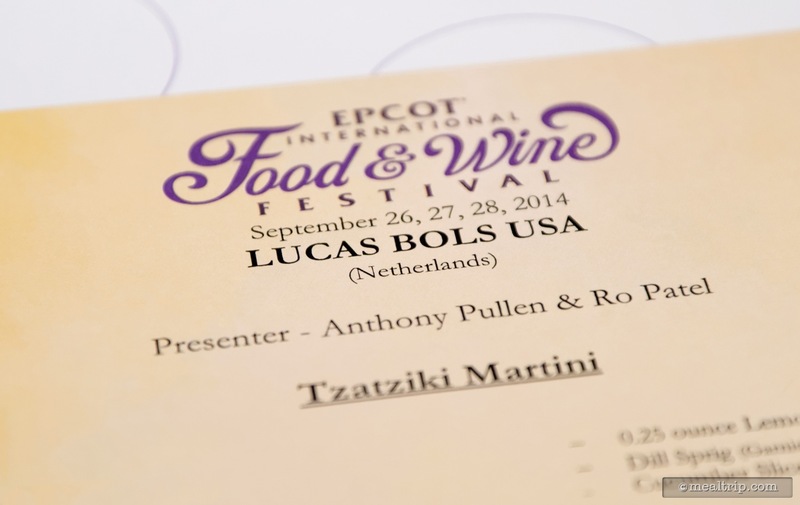 At most Mixology Seminars, guests will receive a printed "recipe sheet" so that you can make the cocktail at home. 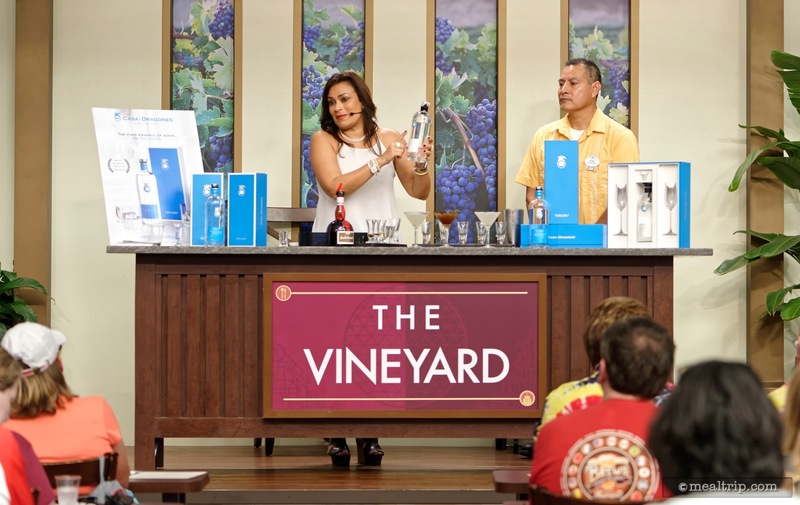 A Casa Dragones Tequila Mixology Seminar in 2015 featured Emeline Fines and Pepe (from Epcot's very own La Cava Tequila). Emeline Fines from Casa Dragones Tequila explains why it's important to look at the Tequila "ring" on the glass as you move it around. 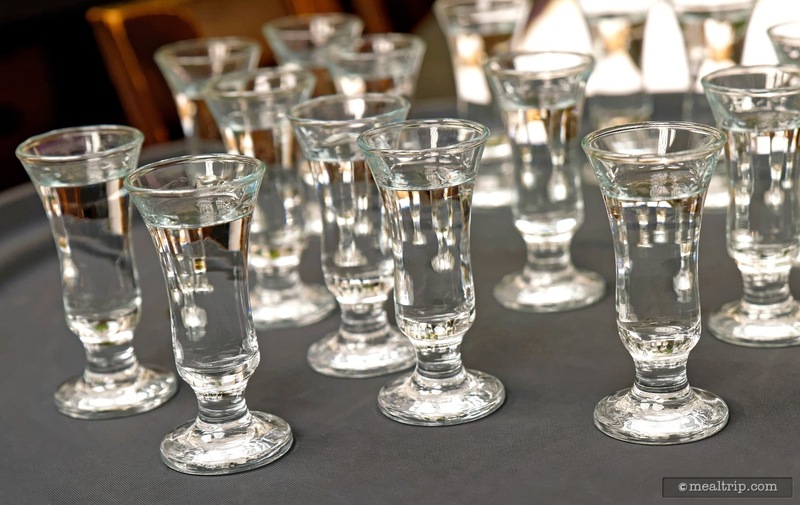 Guests at a 2015 Casa Dragones Mixology Seminar also got a chance to try the Joven style Tequila by itself, to get an idea of how a Joven differs from a Reposado (or silver) Tequila. Emeline Fines discusses the details that go into the hand painted logo on a numbered bottle of their reserve product... which also happens to be in a crystal decanter (and not a molded glass bottle). A closer look at the logo on a bottle of Casa Dragones Tequila. 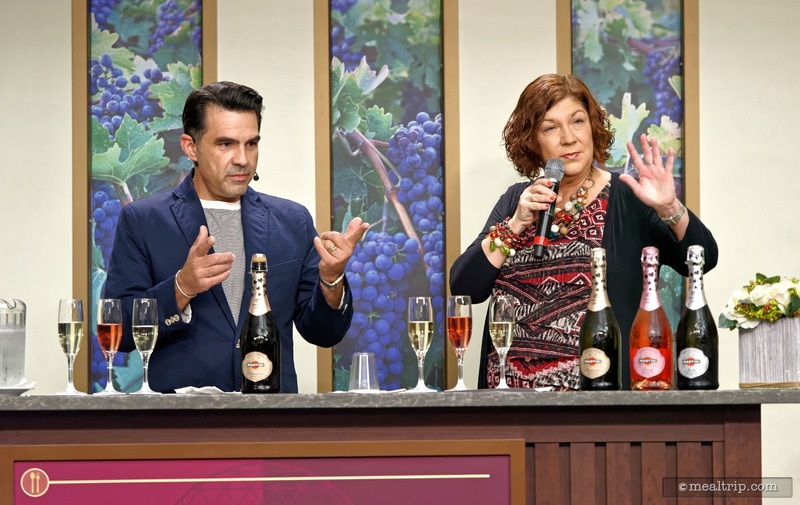 The three "hero" drinks made on-stage at a 2015 Casa Dragones Mixology Seminar looked exactly like the ones that the audience got to sample (only these were a bit larger). 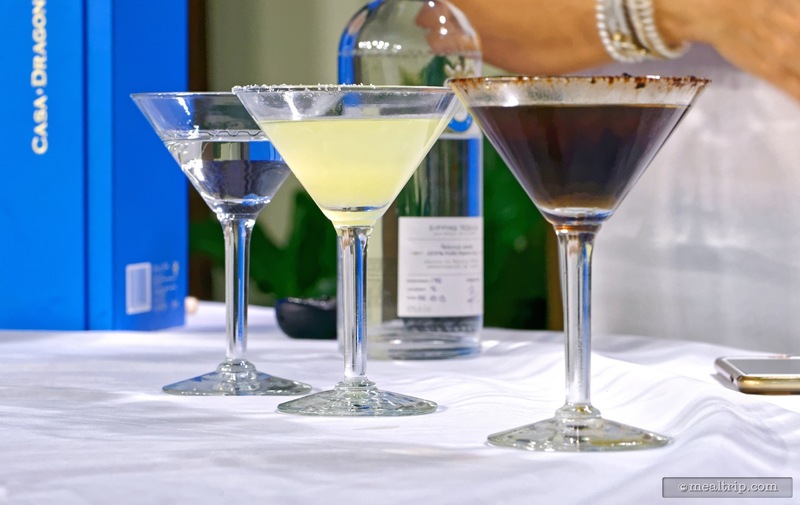 Pictured here (from left to right), the Casa Dragones Tequila, a San Angel Inn Margarita, and a Tamarind Margarita. 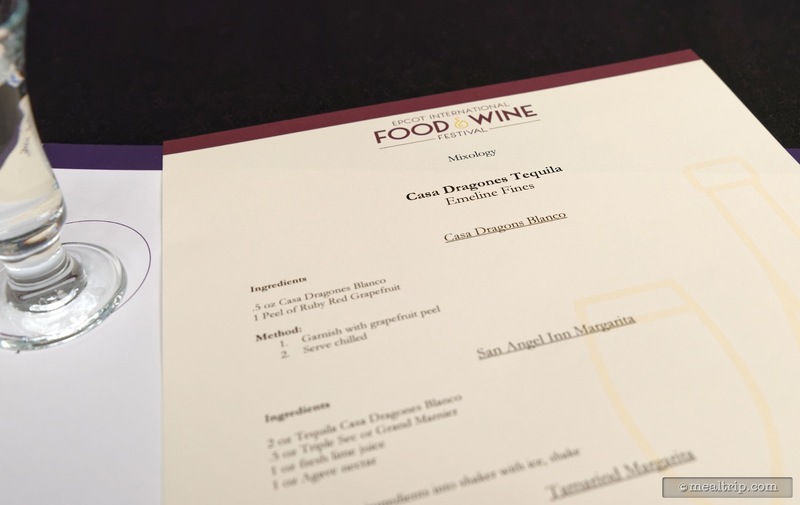 Here is the tray of San Angel Inn Margaritas that were handed out to the guests of a 2015 Casa Dragones Tequila Mixology Demo at the Epcot International Food and Wine Festival. 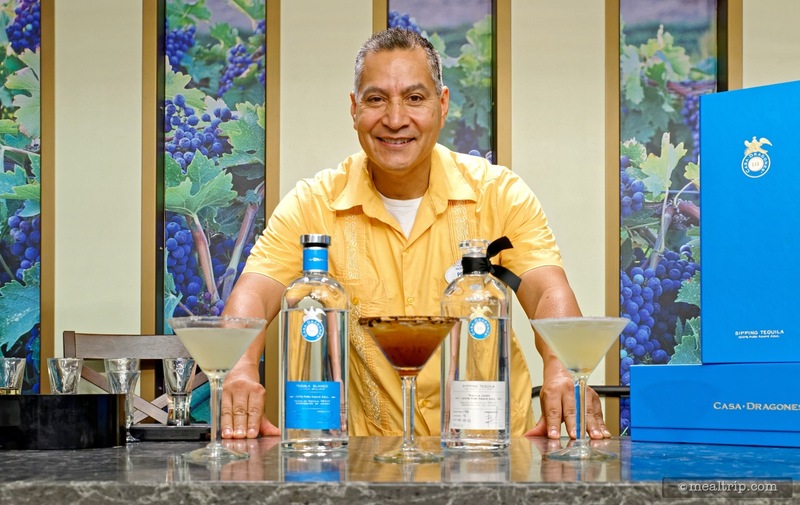 This Tamarind Margarita was made with Casa Dragones Joven style Tequila. Hey look, it's Pepe from la Cava Tequila, guarding all of the Casa Dragones! 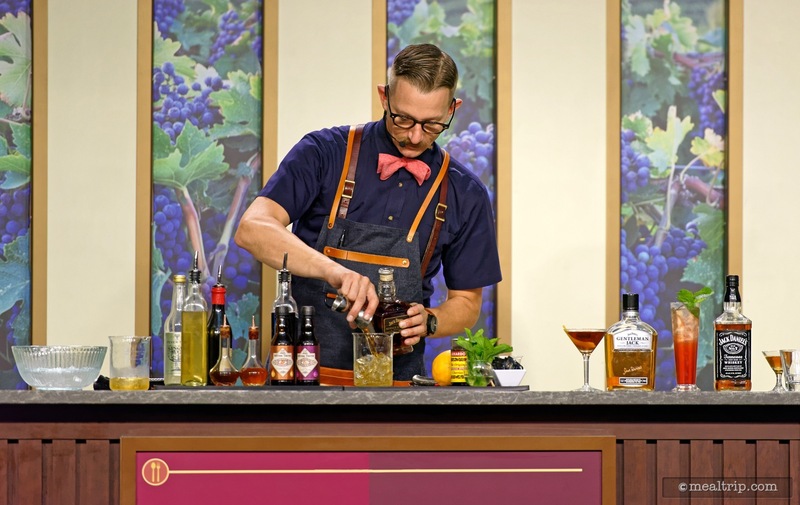 Lucas Bols USA (and Anthony Pullen in particular) combine just the right amounts of education and entertainment in their Mixology Seminars. Each guest gets a printed information sheet like this one, than contains instructions for making the beverage that you will be sampling. Anthony Pullen (for Lucas Bols USA) mixes an Oh Mai Mai Tai. 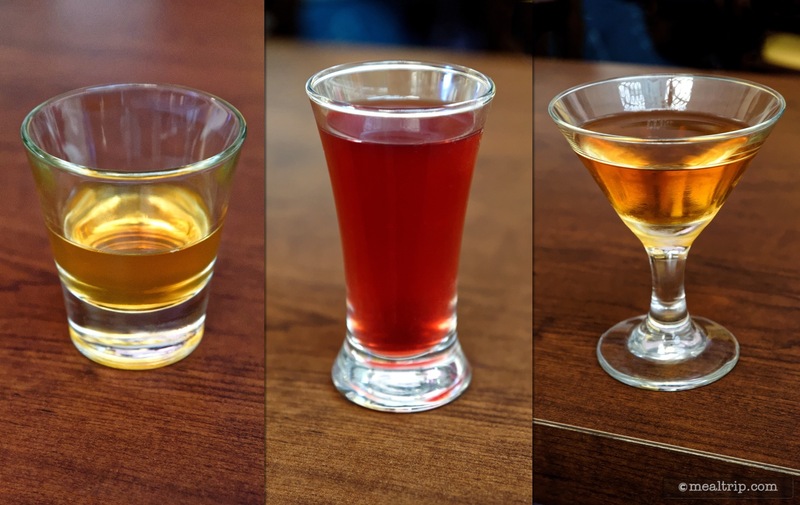 Here are the three sample sized portions that each guest got to taste (yes, they check ID's) at a 2014 Lucas Bols USA Mixology Seminar. Jaki Winkles from Kindred Spirits USA describes the distillation process for gin. 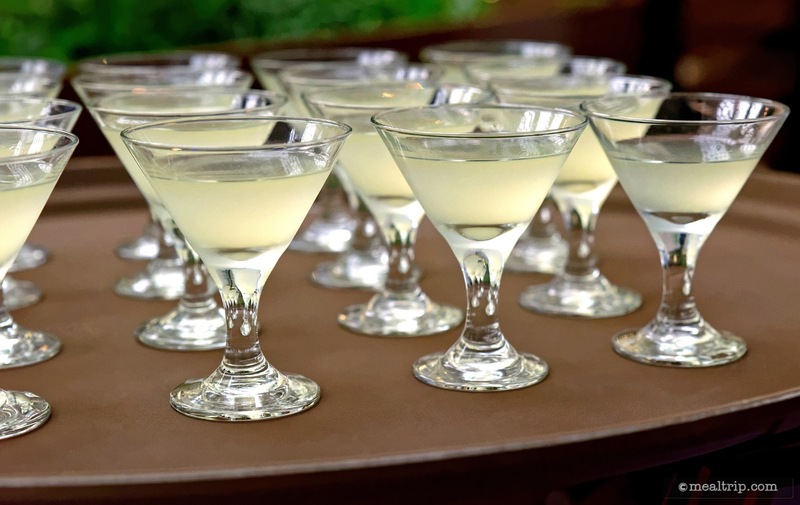 This Mixology Seminar featured three sample drinks, all made with gin. 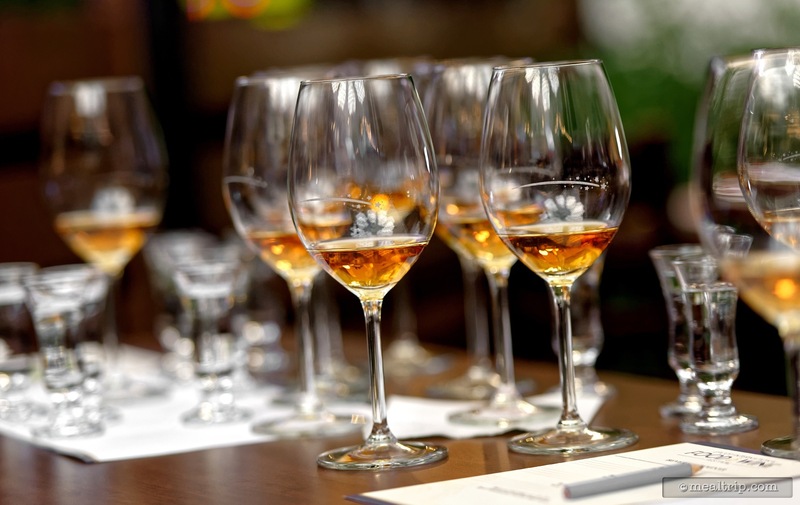 Bunratty Mead from County Clare Ireland was featured in a Beverage Seminar. This seminar only featured two beverages, the other being Bunratty's clear "Potcheen".